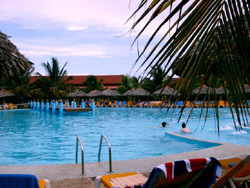 This 268-room Riu Varadero property is set amongst tropically landscaped gardens and is managed by RIU Hotels of Spain. The friendly staff and tastefully decorated rooms will ensure that your stay is a relaxing one. Today is the Hotel Be Live Turquesa 4* All-Inclusive hotel, with a beautiful nature in its surroundings. 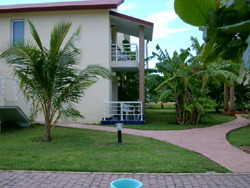 The facility has been remodeled and it is set in a garden area that leads to the white sand Varadero Beach. It is perfect for families, and good choice to get married. Hotel located at 35Km from Juan Gualberto Gomez. Taxis are always available. Car rental is also available at airport. 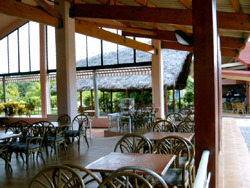 Address: Carretera "Las Morlas", Km.12,5 (Reparto La Torre), 42200 - Tainos (Varadero), Cuba. Rooms: Air Conditioning, Phone, Satellite TV, Safety Deposit Box, Hair Dryer, Private Bathroom, Balcony or terrace, Power 220V/60Hz, Cold & hot water, Mini-refrigerator, Bathroom with WC and Shower. No reviews for Hotel Riu Turquesa yet.